Every cook needs an apron. 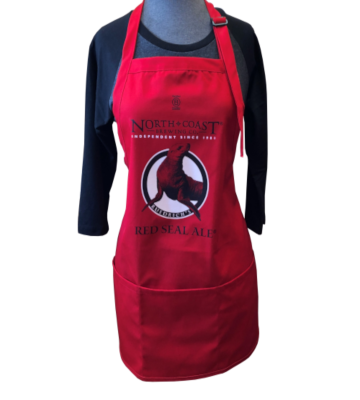 Why not show off your favorite ale colors by wearing our Red Seal Apron when you grill, bake or cook? Don't forget to treat yourself to a frosty cold Red Seal Ale while you cook.